Back to school season is here, and that means the activities of fall sports are just around the corner. So, we spoke to Tracy Zaslow, MD, FAAP, CAQSM, medical director of the Sports Medicine and Concussion Program at Children’s Hospital Los Angeles, to get the top six things parents need to know when it comes to fractures and sprains. After an acute injury, apply ice to the affected area at 20-minute intervals to help reduce pain and swelling. If your child is unable to walk with a normal gait after a foot or ankle injury, an evaluation by a physician (at one of our same-day/next-day clinics) is appropriate, but does not always require evaluation in an emergency room if pain is controlled. Fracture is the medical way of saying "broken bone." 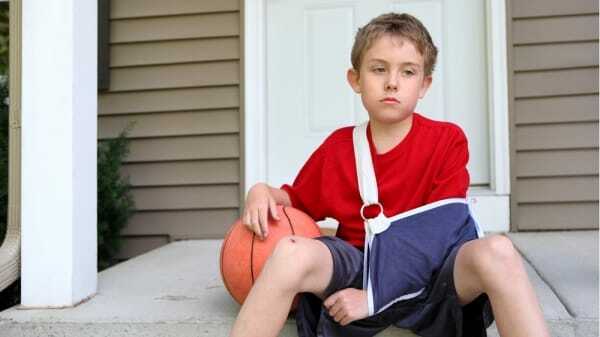 Although sprains do happen in children, they are more likely to sustain fractures. It is especially important for children to be evaluated by a pediatric specialist for fractures due to the presence of growth plates (areas of the bones that facilitate grown and are more susceptible to injury). Sprains occur when ligaments get stretched or torn; ligaments attach bones to other bones to support joints. Most sprains heal well when diagnosed early and managed appropriately with relative rest and rehabilitation. Implementing proper technique and biomechanics are the best ways to prevent fractures and injuries. Wrist guards do decrease wrist fracture incidence in many sports including skate boarding, snowboarding, roller blading, etc.